One of the most common queries I receive is how to find the tax return form online. This should be easy, but regularly causes issues for people trying to find the tax return form. 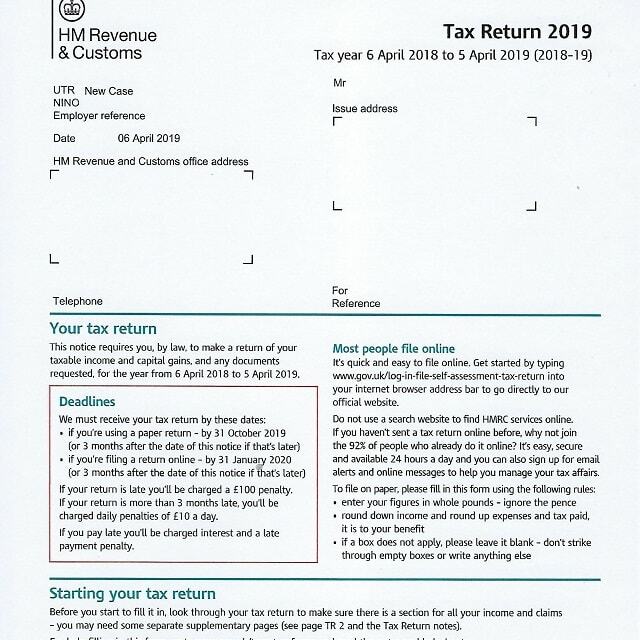 The 2019 tax return form, covering the year 6th April 2018 to 5th April 2019 has just been released by HMRC. The official name for the tax return form is a SA100 form. …and if you require any assistance with the 2018/19 tax return form, please do get in touch.